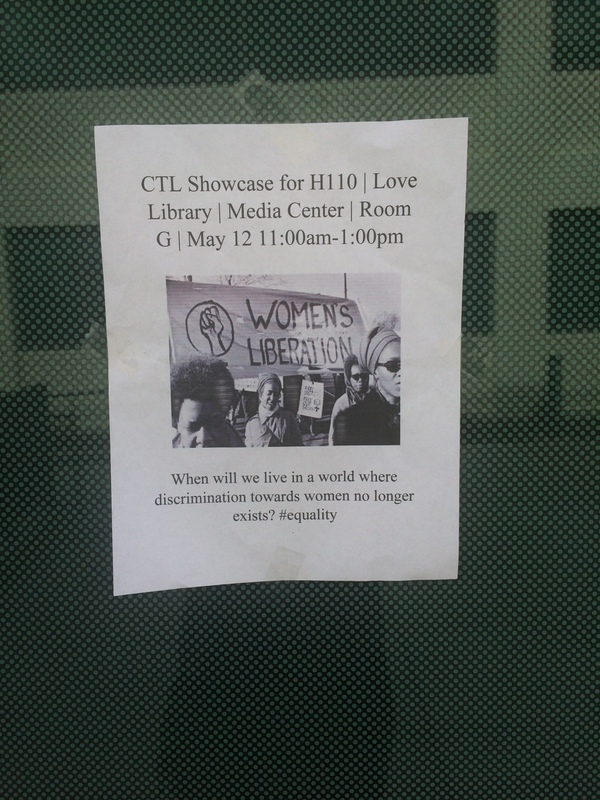 I posted the CTL Showcase flyer on one of the entrances to Storm Hall West. Using Google as my search engine, I received this 15.2 KB image from http://www.anb.org/articles/20/20-01920.html. The image seems to be in clear condition, considering its modifications since its original publication. This image was initially considered an American wartime propaganda poster, created by J. Howard Miller in 1943. 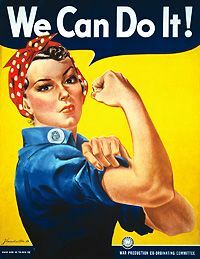 The poster is usually called “We Can Do It!” but may also be considered and known as “Rosie the Riveter.” During World War ll, government officials and industrial leaders encouraged the emergence of women into the workforce, in order to replace the loss of male workers who joined the war as soldiers. In different forms of media such as movies, newspapers, posters, photographs and articles, the “Rosie the Riveter” campaign stressed the importance of patriotic need for women to enter the work force. This motivational poster seemed to be working considering a dramatic increase in female workers in the years of 1940 and 1945, rising nearly ten percent. As the topic for my essay, I discussed how women’s role in society changed during the roaring twenties, after acquiring the legal right to vote. Twenty years after that time frame, women continued to experience growth in their societal duties and developed a sense of equality within their communities. “Rosie the Riveter” has gone from a wartime propaganda poster in the 1940s to a feminist symbol in current society. The image provides a sense of women empowerment and persuades the female population that they are capable of anything. I chose this image to represent my discussion topic because I enjoy exploring how women’s role in society has greatly increased and expanded. Throughout history, women slowly but surely earned equality in most aspects of life, including politics, the workforce, and in private life at home. Although there is always room for improvement regarding how much rights and equality women really do have, this image illustrates that women are capable of anything and that they are needed in order for society to succeed and prosper. Today in lecture we discussed the emergence of hippies and what their culture consisted of. The Beat Generation gave way to the hippies who experimented with their sexuality, drugs, and fashion. 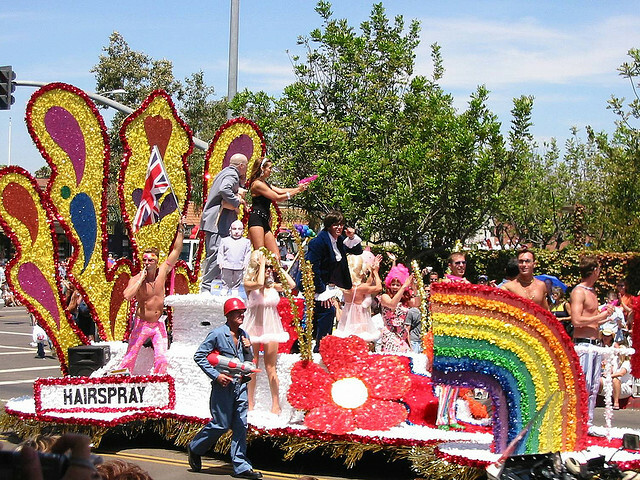 The hippies wardrobe consisted of tie dye, beads, fringe, and were all about peace and love. In present day society, we have the contemporary culture of hipsters. Hipsters consist of having a retry and vintage sense of style. They associate with indie and alternative music and are typically described as young Bohemians. 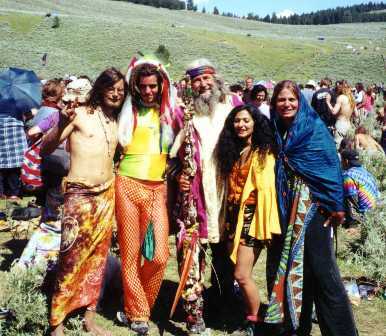 Although both the hippies and hipsters experienced a change in style, it was the hippies who rejected certain elements of society and promoted their own beliefs. 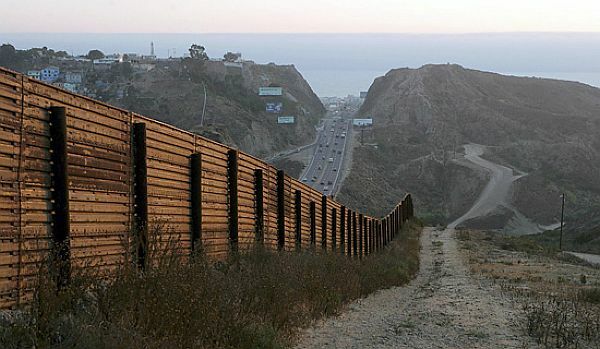 This week in my RWS class, my professor discussed how borders have more than just one interpretation. Not only is there a physical separation, but as well as a cultural separation, spiritual separation, and an emotional separation. This concept reminded me of when Professor Putman discussed the Soviet border and their struggle to secure it throughout the Cold War. During the Gilded Age, Andrew Carnegie believed that wealthy Americans should regenerate society by using their money in a way that could improve conditions in poverty. 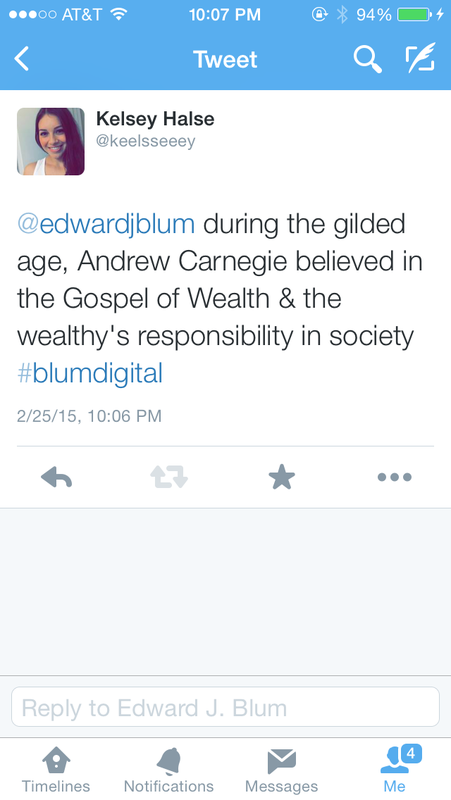 Carnegie used his wealth to help society by establishing schools, libraries, and universities in America. 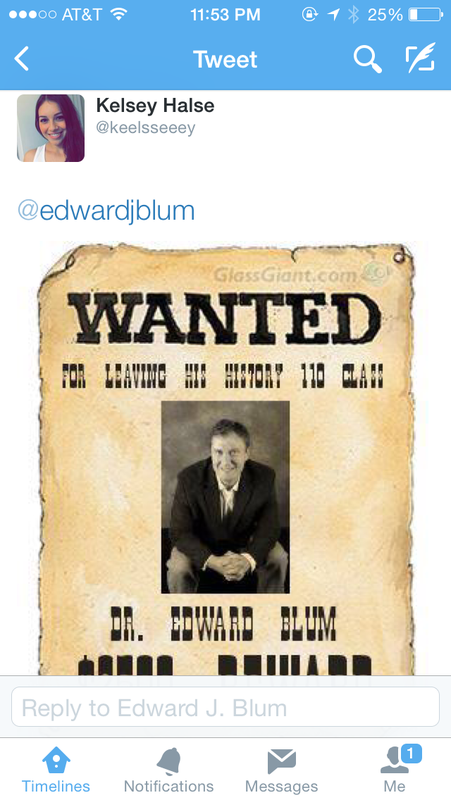 During one of Blum’s lectures, he discussed how everything in our lives has a history. Digital diversities and democracies advanced with the help of learner response systems. “Active learning” in large classroom were possible with multiple choice and short answer questions. The “I” clicker is an example of everyday technology that is used throughout SDSU campus, that has surfaced because of history. 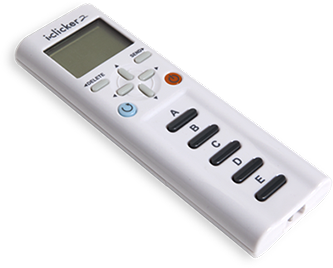 The “I” clicker allows learning to be democratized and individualized.